The ‘NFC on USIM’ cards support card emulation and tag read/write functions and are expected to cost in the region of US$30-40 each. Peer-to-peer support will be added towards the end of 2011. Korean mobile network operator SK Telecom has announced an NFC-enabled USIM card that enables existing mobile phones to be turned into NFC devices by simply replacing the existing SIM with one of the new NFC USIMs. The ‘NFC on USIM’ cards provide standard SIM functions plus a 13.56MHz near field communication antenna and an NFC controller — all on one, small chip. 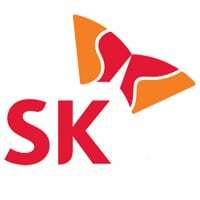 The new NFC USIM will be available in October 2011 and SK Telecom will release a developer API at the same time. “The sharp increase in the number of handsets that offer NFC function through NFC on USIM is expected to fuel the spread of NFC-based services and lead to the development of diverse related services,” says SK Telecom. As well as payments, the NFC USIM can be used to support peer-to-peer communications. A phone equipped with the new SIM can be used to receive product information in stores, mobile advertisements and coupons, conduct real-time account transfers between handsets, exchange electronic business cards, check-in to hotels, unlock doors and verify the user on PCs. SK Telecom is an established innovator in the NFC market and is heavily committed to adopting the technology. Last month, the company told NFC World that, from then onwards, all the smartphones it stocks must come with NFC. Update SK Telecom has confirmed to NFC World that the new NFC USIMs support both card emulation and tag read/write functionality today. Peer-to-peer support will be added towards the end of 2011. The devices are expected to cost in the region of US$30-40 each, depending on volume.